Extended School Provision is the term used to describe additional services and provision which we offer as a school or in partnership with other providers outside of the normal school day. By utilising the services of our Breakfast Club pupils can be on site from 8am – 5:45pm. We run a very successful and popular breakfast club. Breakfast Club opens at 8am, with breakfast being served until 8:30am. Pupils remain in Breakfast Club until 8:45am when they are able to enter their classrooms. 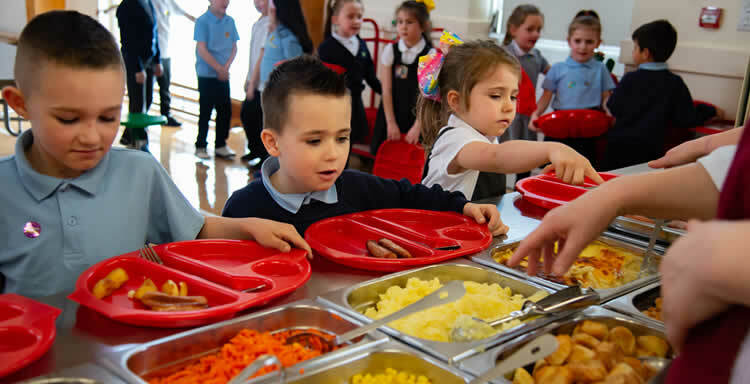 For a minimal charge, pupils are provided with breakfast with a choice of cereal, toast, juice, hot drinks, and fresh fruit and then participate in a range of supervised activities (construction, drawing and colouring, board games etc). Regular competitions are held and prizes awarded. All pupils are invited to join the Breakfast Club. Please ask at the school office for more information. We have a wide range of after school activities available for pupils to join. Some of these are targeted at specific classes or year groups, but we try to ensure that there is something on offer for all pupils throughout the year. Many of the activities are organised by our own staff, however sometimes external providers are utilised in order to enhance the range of activities on offer.